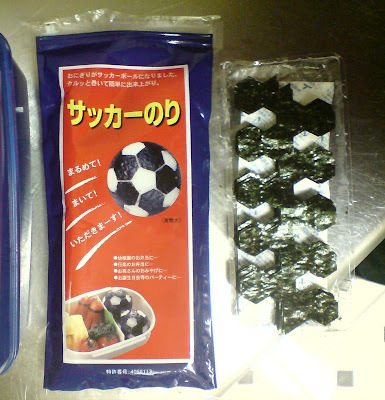 We discovered Soccer Nori, die-cut seaweed that turns your little rice ball into a little soccer ball, five years ago on a visit to Tokyu Hands. The kid loves it, but with no trips to Tokyo recently, our supply ran out. Until my blogging/design/dad hero Andy picked up a stack for us on his recent work-related boondoggle. 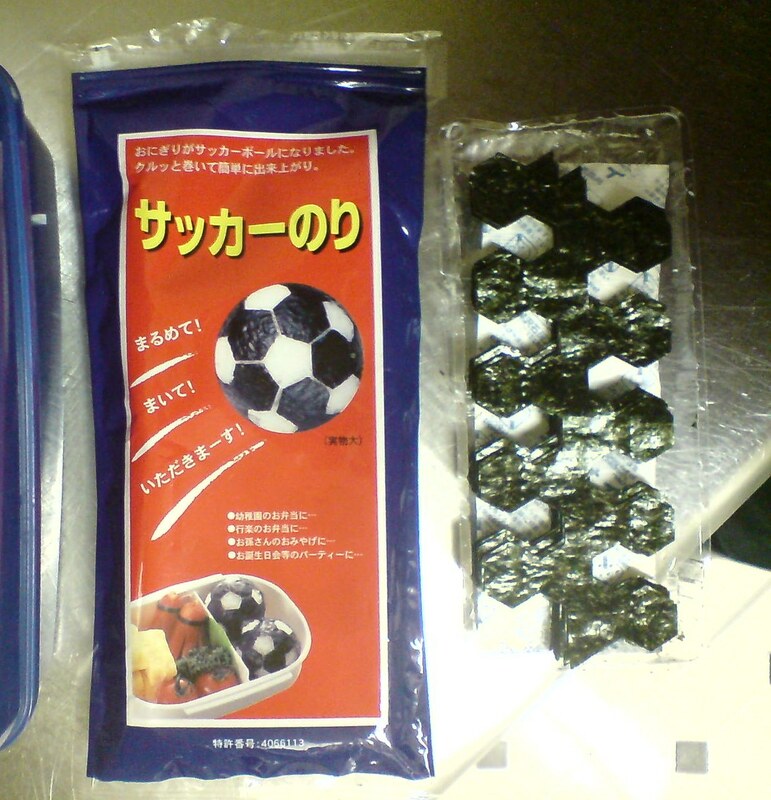 Maybe a bit of publicity will finally convince the manufacturer, Kawashimaya Nori, to begin accepting international orders online. Or maybe the Buckminster Fuller Institute could put a word in for us.